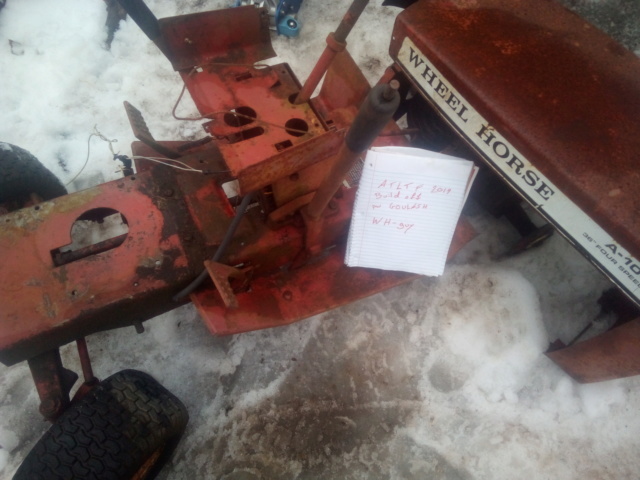 This is my wheel horse a100. As you can see it's in need of a little tlc. I'm going to strip it down and give it a paint job, some accessories, front axle swap or independent suspension. I have a Kohler engine I think will fit. I wish everyone else the best of luck and I can't wait to see how everyone's rig turns out. Looks like you have a long ways to go! Good Luck! I love when people strip it down and build it up the right way. Thank you and good luck to you too. Can't do ATV engine for build off.